More than 5,000 people voted for their favourite of the 62 works, since the exhibition opened in September, but it was Sighting by Elizabeth Magill which captured the heart of most visitors and won the £2,012 prize. 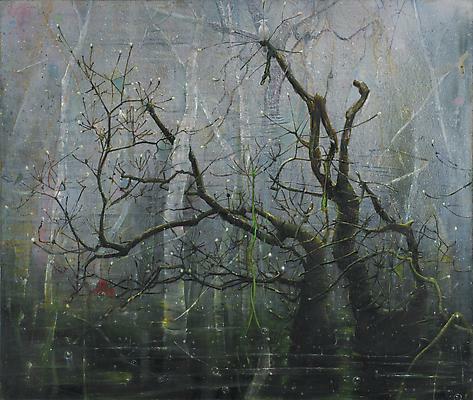 Sighting (oil on canvas, 168 x 198.1 cm) appears to depict a dark woodland scene but on closer inspection unexpected, delightful details are revealed. Attracted to its mystery, beauty and eerie atmosphere, the large and imposing painting was a popular choice with visitors.